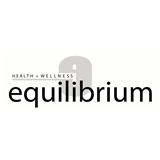 Equilibrium Health + Wellness (Chicago) - Book Appointment Online! We are conveniently located in the South Loop of Chicago with a complimentary patient parking garage. Our highly trained staff offers individualized treatment plans for each patient. Our team approaches alternative health care through various techniques such as: chiropractic massage therapy acupuncture by a licensed acupuncturist functional rehabilitation nutritional alterations lifestyle modifications We accept most insurance plans, even if we are out of network with your current policy. We also offer competitive cash rates if you are uninsured, or not covered for chiropractic care. Feel free to call us to verify your benefits. Every now and than you meet a doctor who got into medicine for the right reasons. This is Dr. Chan. She took time to get to know my history and made me feel very comfortable. She also helped me SO much with my shoulder pain. I would highly recommend her.